Home > Why join the Irish Cattle and Sheep Farmers’ Association? > ICSA Membership Benefits > €50 Credit per meter to your account. Sign up to Go Power and receive €50 Credit per meter to your account. ICSA members can now avail of €50 credit for each meter when they sign up with Go Power as a new customer for electricity supply to their farm. Call now on 01 866 5612 and quote your ICSA Membership Number and MPRN’s to obtain a price. Go Power are a leading energy provider, supplying electricity to all sizes of farms and businesses across Ireland. Go Power understand that for farms and businesses, not only is electricity a significant cost faced on a monthly basis, understanding it all can sometimes be a bit of complicated too, so along with offering some of the most competitive rates in the industry, Go Power also supply each and all customers with a Designated Account Manager, your one stop contact for everything from pricing, takeover, billing and renewal – your account manager will be contactable directly via mobile or email and will be happy to explain everything to you! Begin your account with Go Power with a €50 credit applied to each of the meters under your account. A monthly billing cycle and with hassle free direct debit payment to suit you. A dedicated account manager to deal with all of your requests. A commitment to ensuring a competitive rate year after year. €50 credit will apply to each MPRN signed up to Go Power on a minimum 12-month contract. ICSA members must identify themselves as an ICSA member when seeking a quote. Members must also have their ICSA membership number available when placing orders. 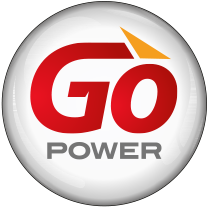 This offer is only available to new Go Power customers.